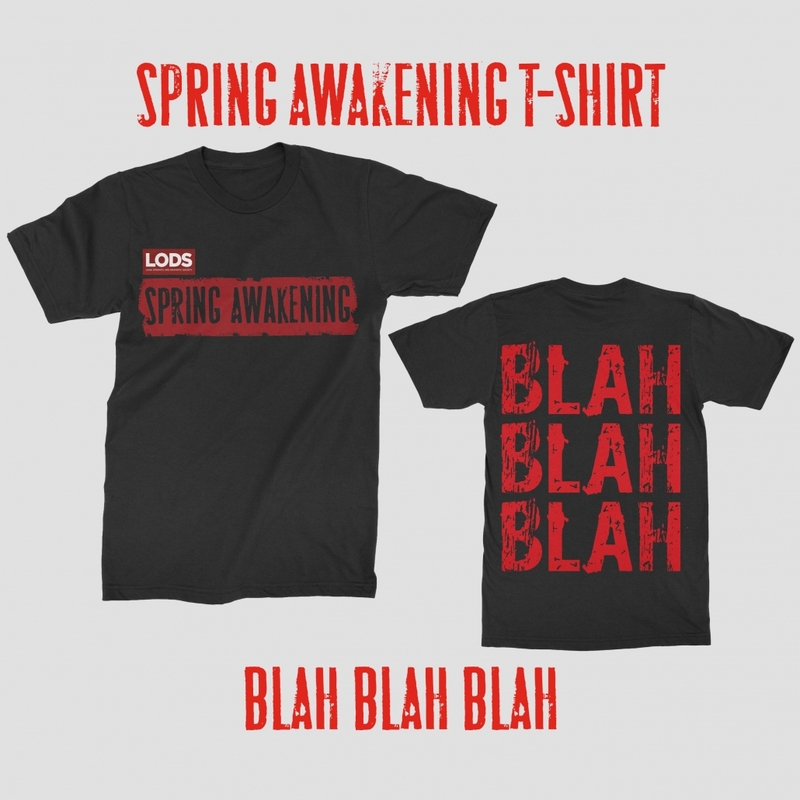 Coming to see Spring Awakening this week? 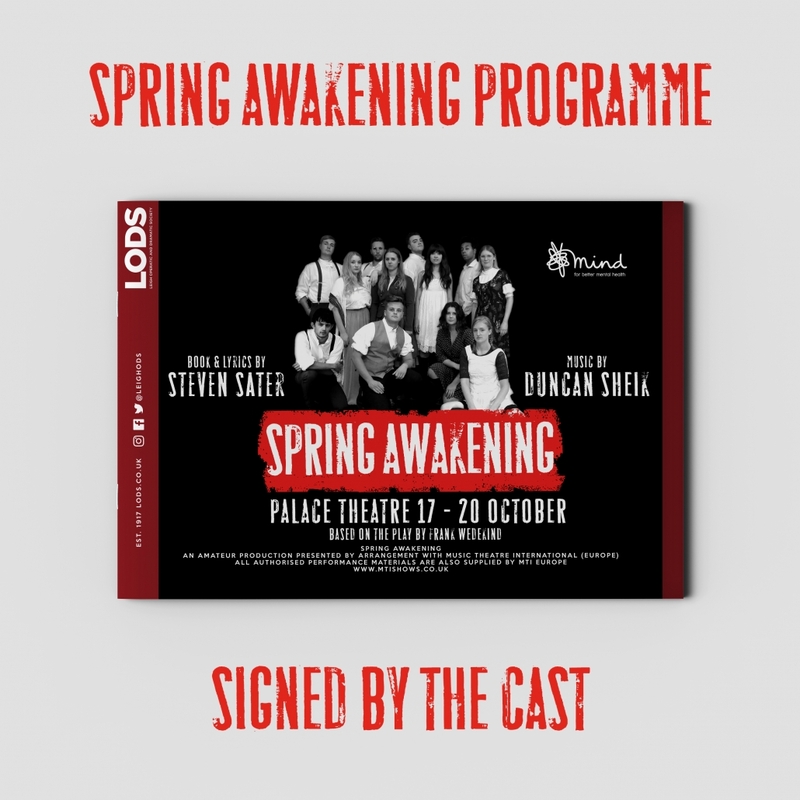 Look out for our Photo opportunity chalk board in the Palace Theatre Foyer! 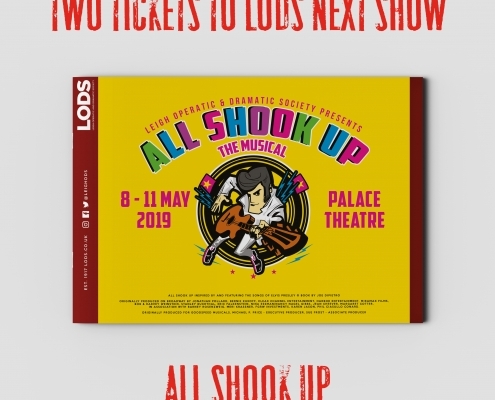 Rock out in front of it and share on social media with the hashtag #lodsawakening for your chance to WIN two tickets to LODS next show ‘All Shook Up’, a signed programme by the entire cast and a Spring Awakening Blah Blah Blah T-Shirt! How exciting Get snapping and we’ll see you in the auditorium! 2. 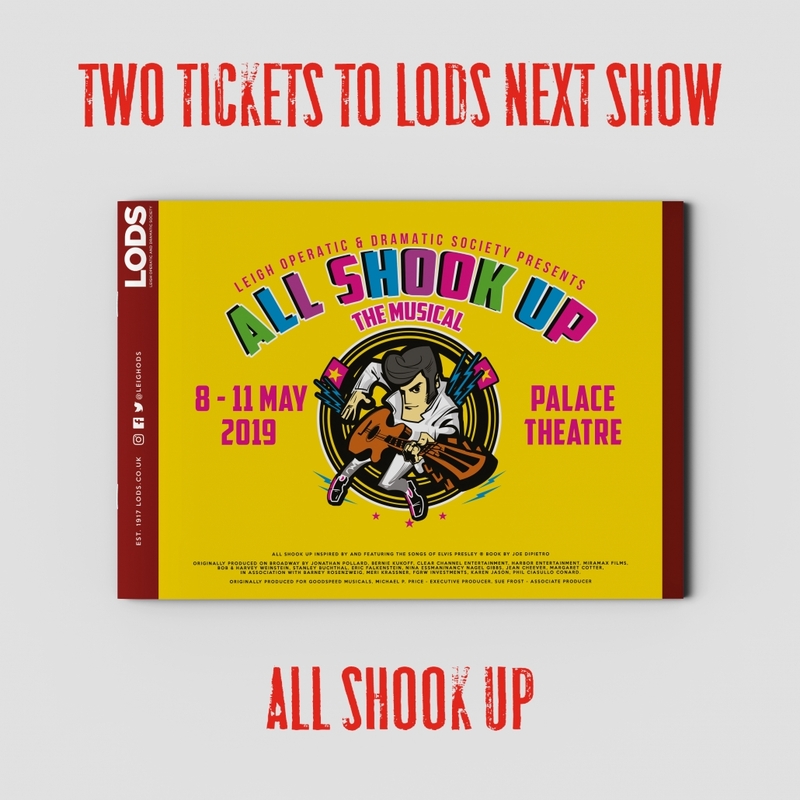 Members of LODS or anyone else connected in any way with the competition or helping to set up the competition shall not be permitted to enter the competition. 4. Route to entry for the competition is via social media by using the hashtag #lodsawakening on Twitter, Instagram or Facebook. 5. Closing date for entry will be Saturday 20 October 2018 at midnight. After this date no further entries to the competition will be permitted. 7. 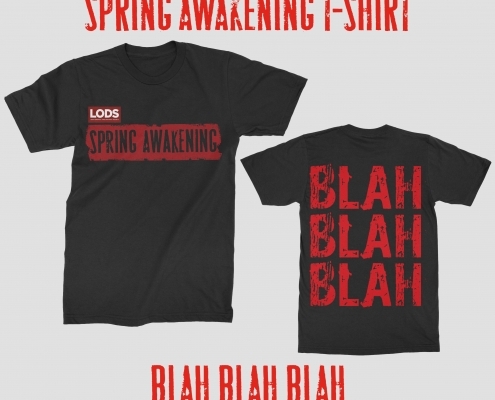 The rules of the competition and the prize for each winner are as follows: 2 x tickets for LODS next show All Shook Up, Signed Spring Awakening Programme and a Spring Awakening Blah Blah Blah T-shirt. 11. Winners will be chosen by an independent adjudicator or panel of judges appointed by LODS. 19. This promotion is in no way sponsored, endorsed or administered by, or associated with, Facebook, Twitter or any other Social Network. 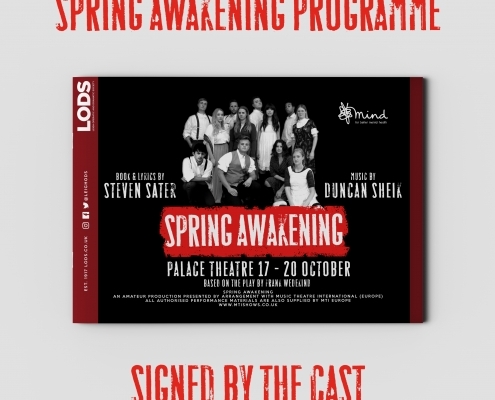 You are providing your information to LODS Leigh Operatic Dramatic Society and not to any other party.